In the 1880’s the London and South Western Railway extended their line from Southampton to connect to the Victorian seaside resorts of Bournemouth and Weymouth. 1886 saw the building of the railway station in its current location. The railway actually commenced operations in 1888 as there were delays caused by problems with the stability of the land, especially at Sway which saw several landslips and some deaths amongst the navvies constructing the line. The Ordnance Survey map of 1909 shows the development around the railway station. An entrepreneur named Mr Hugh Wyeth, a Winchester brewer, saw an opportunity to develop the land around the railway station. 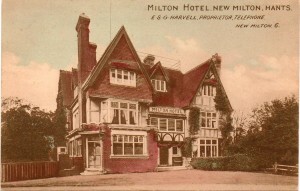 He built the Milton Hotel which was demolished in the 1996 to make way for the new Arnewood Medical practice. In addition to the hotel Mr Wyeth built a hall and two shops opposite the southern entrance to the railways station. The hall was used for concerts, meetings and dances. The first parade of shops was built along the west side of Station Road. These included a stationer and bookshop, a grocers and a chemist shop. The Wilts and Dorset Bank opened a branch on the corner of Station Road and Osbourne Road seen here in this image. 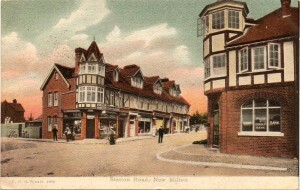 A new sub Post Office opened opposite the Milton Hotel and was run from 1895 by a Mrs Newhook. It is believed that this lady was responsible for the name given to the railway station and to our town. 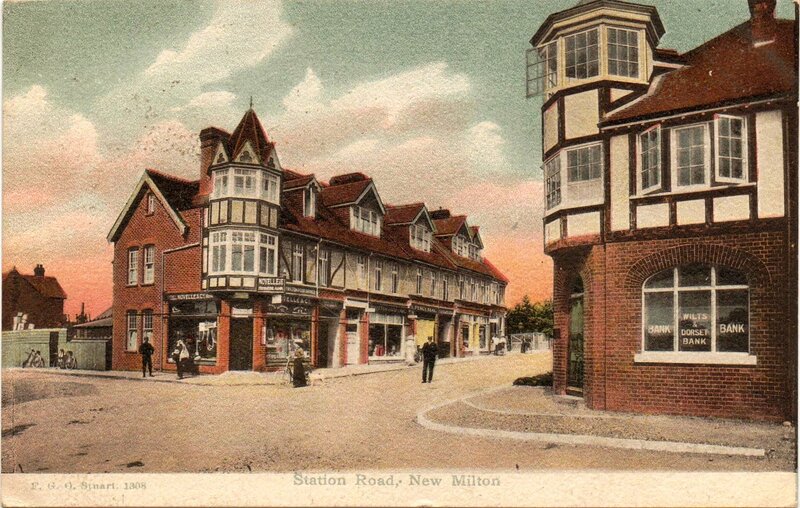 In order to avoid confusion with the main post office in Milton Village (beside the Wheat sheaf Inn) Mrs Newhook called her post office, the New Milton post office. A railway official looking for a name for the new railway station declared that if the name “New Milton” was good enough for the Post Office it was good enough for the railway. Thus the London and South Western Railway named the station New Milton. 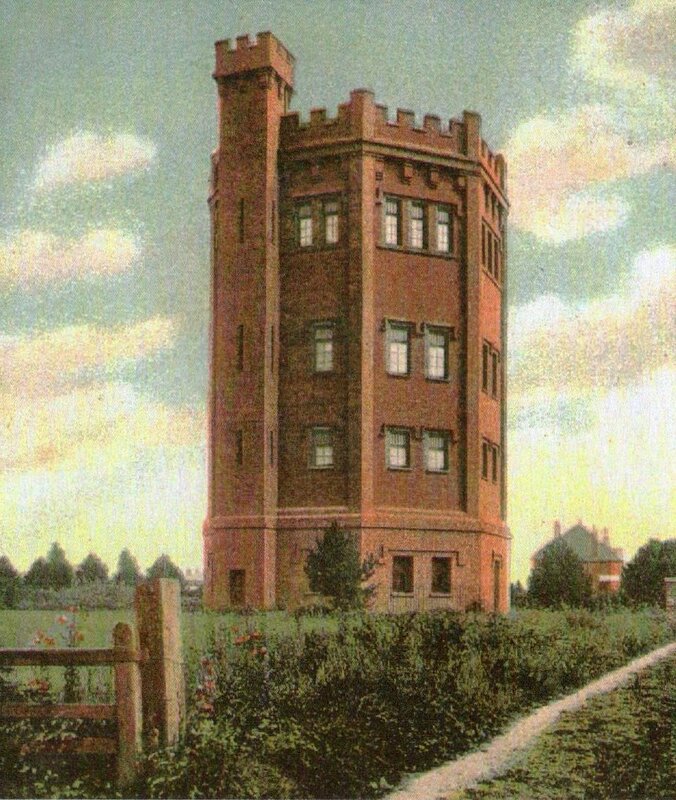 In 1900 the demand for housing and services led the West Hampshire water company to build our towns’ most famous landmark, the red brick water tower. 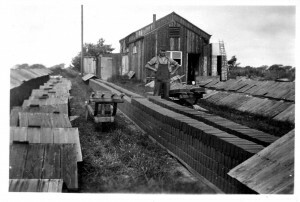 Local brickworks supplied building material not just for the development of our town but also for those of others conurbations, in particular Bournemouth. The bricks were transported by the new railway. The area known as Whitefield was purchased by public subscription organised by the Reverend John Edward Kelsall. This came to be known as the War Memorial Recreation Ground and was made available for the use of all. The war memorial is situated at the southern end of the ground. An area of rough land to the north of the recreation ground was purchased by Mr Matterson a local benefactor and handed over to the town council for use as a bowling green and tennis courts. Another New Milton icon came into being in 1928 with the first edition of the New Milton Advertiser. This newspaper later took over the Lymington Times and is still being published every week to this day. 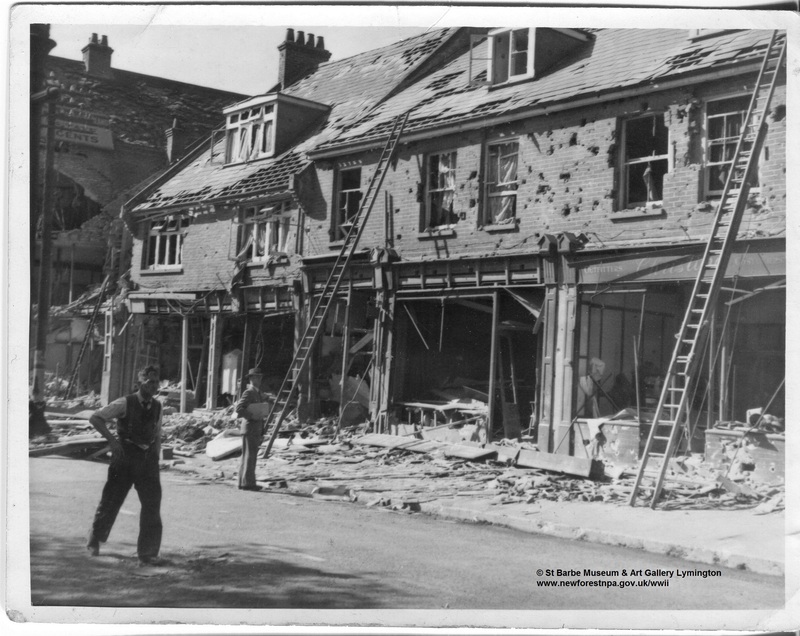 The Second World War saw troops again billeted in the district. 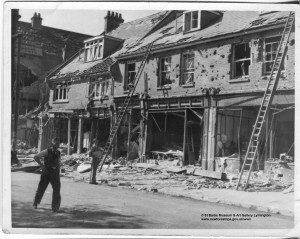 Tragedy came to New Milton when the town was bombed on three occasions. The worst incident happened in August 1940 when a lone bomber caused 25 deaths and a number of wounded. The contribution made by the district in both world wars can be gauged by the number of Miltonians commemorated on the war memorial. After the war the town continued to grow. The most noticeable expansion of the town was the building of shops on the east side of Station Road in place of the private houses. In the 1970’s the first major supermarket was opened. The agricultural image of Milton parish slowly changed as farming land gave way to housing. Along Gore Road and Stem Lane light industrial units provided some employment. The first school was built in Milton village in 1835. 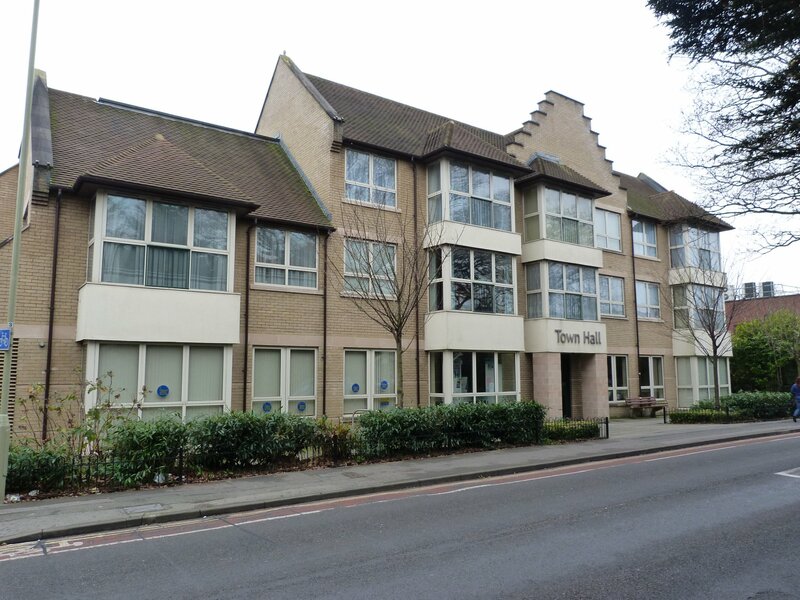 This moved to Gore Road soon after World War One. 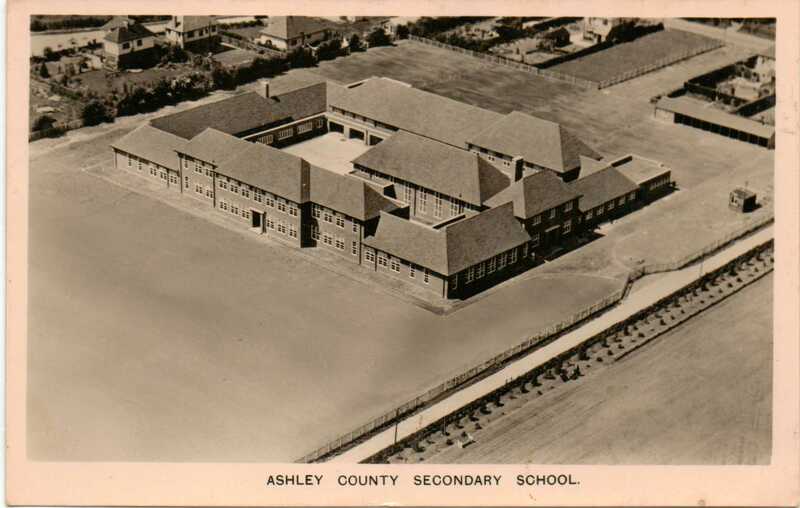 1939 saw the opening of a new secondary school at Ashley. Arnewood Comprehensive School opened in 1970 following the amalgamation of Ashley and Gore secondary modern schools. In 1979 New Milton town council came into being. Milton previously became a civil parish coterminous with the ecclesiastical parish in 1888. It was made into Milton Urban District Council in 1926 and in 1932 became part of extended Lymington borough council. 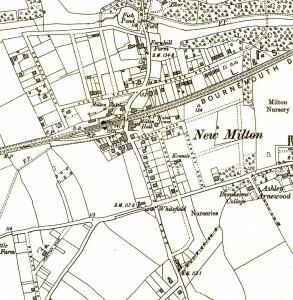 In 1996 the one hundredth anniversary of the town of New Milton was celebrated. In 2004 the Town Hall was opened by HRH the Duchess of Gloucester GCVO. The office of Mayor was instituted later that year.